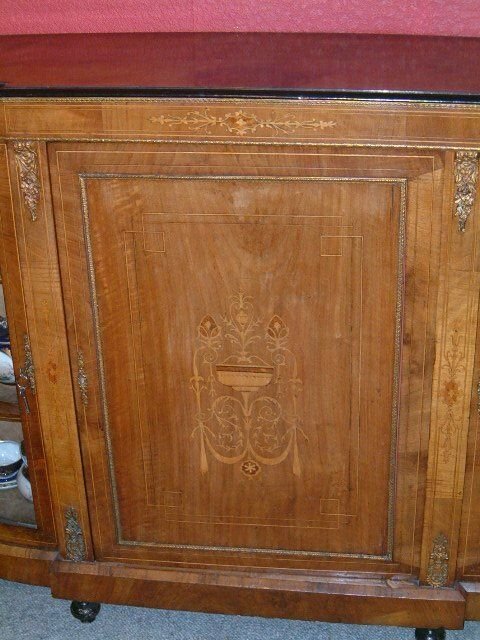 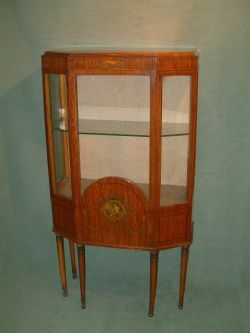 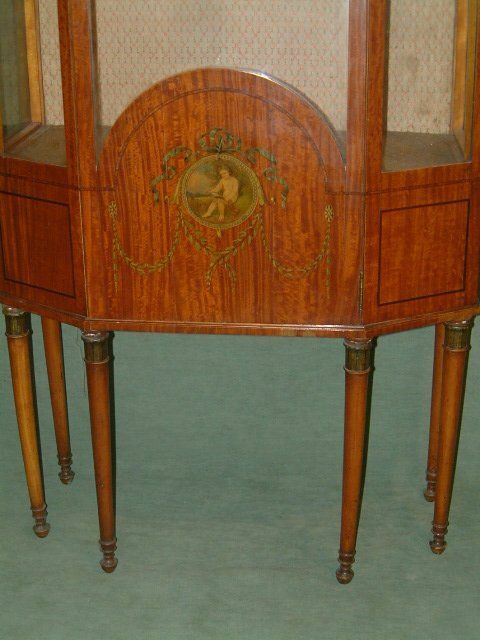 George 3rd Inlaid Corner Cabinet with Swan Neck Pediment & Brass Finial, Nice Colour and Fine Inlay. 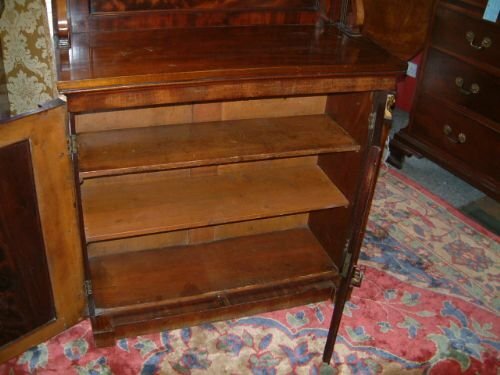 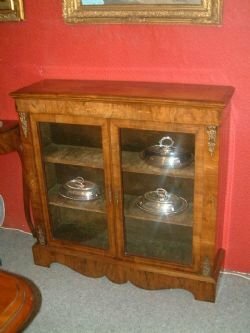 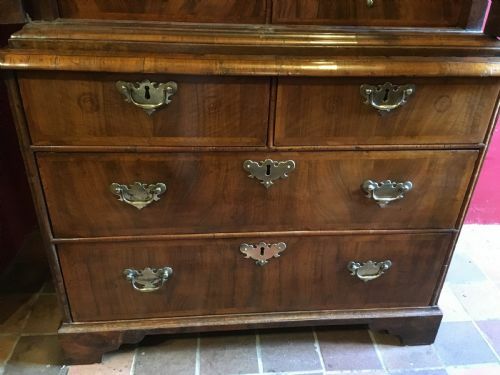 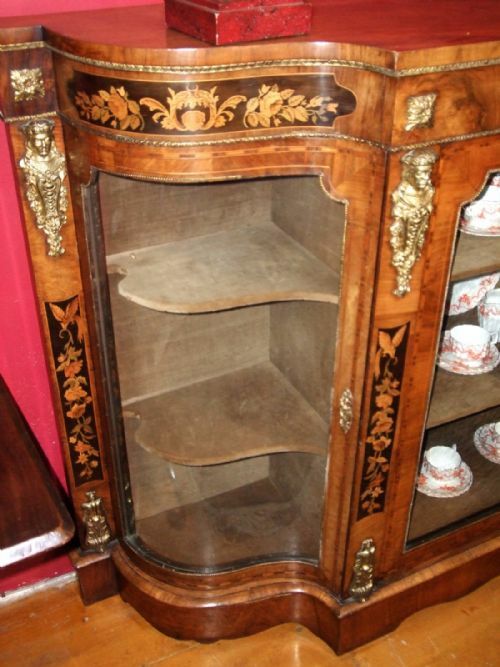 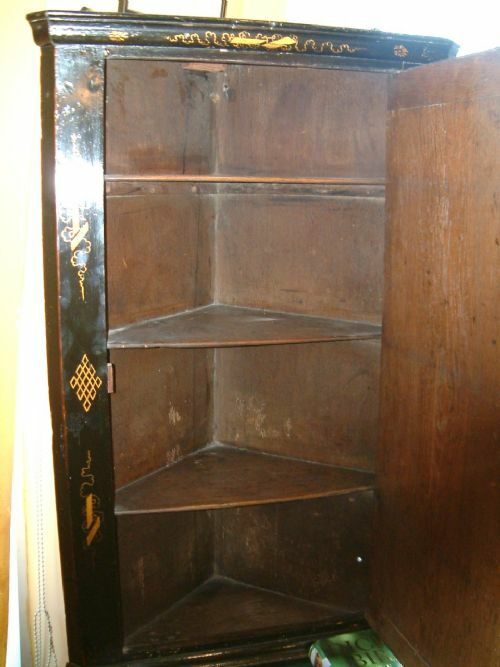 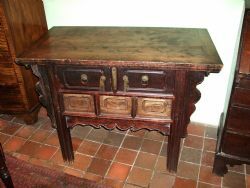 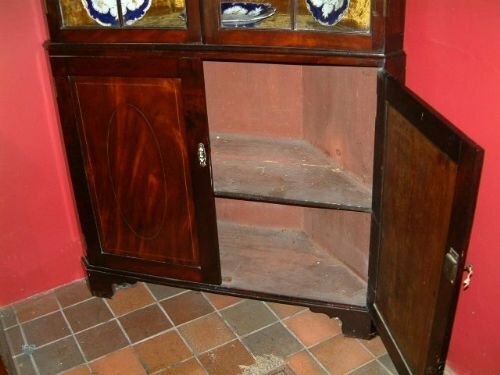 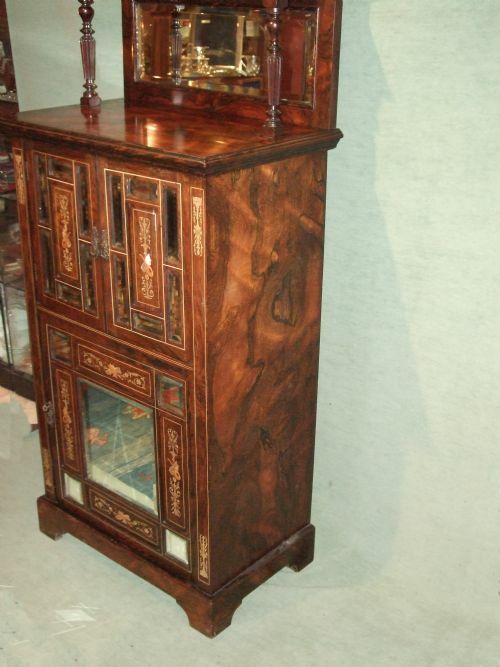 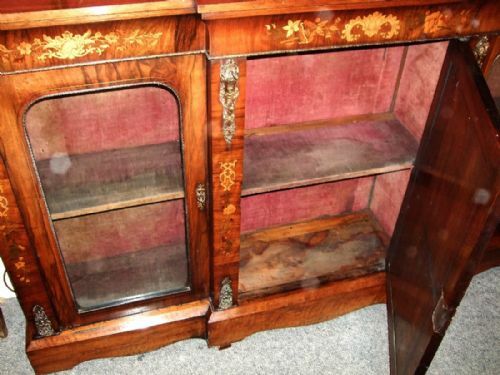 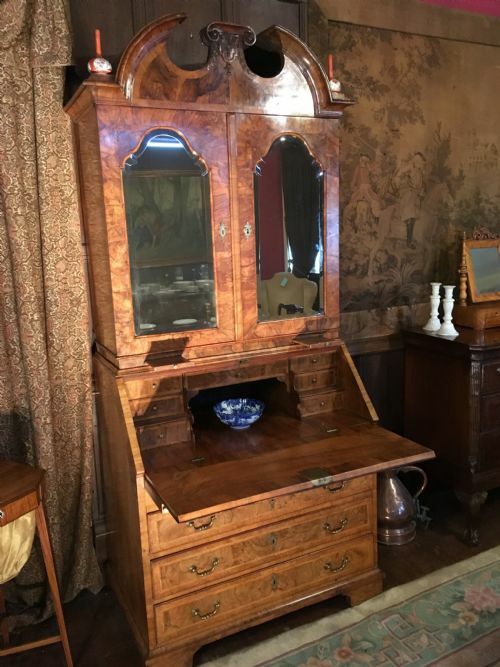 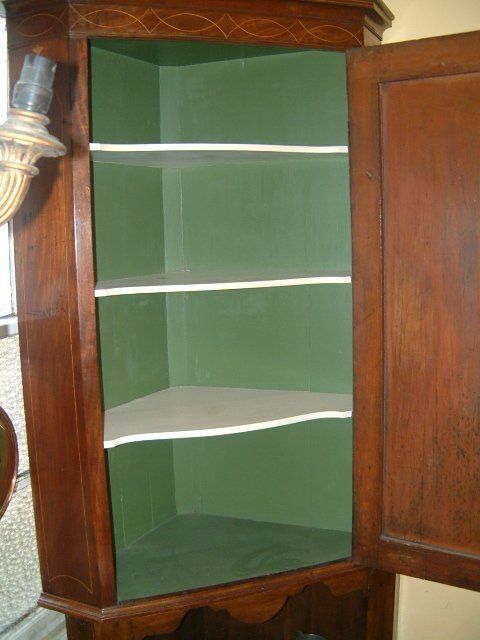 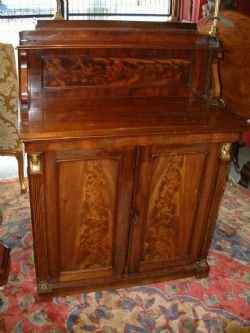 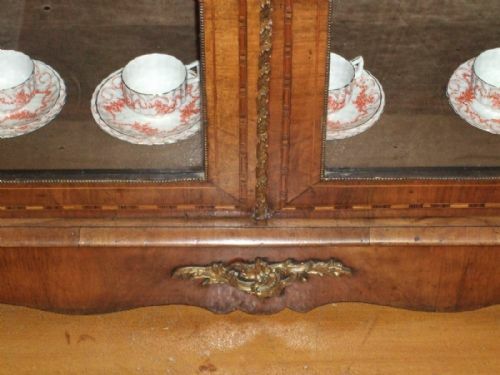 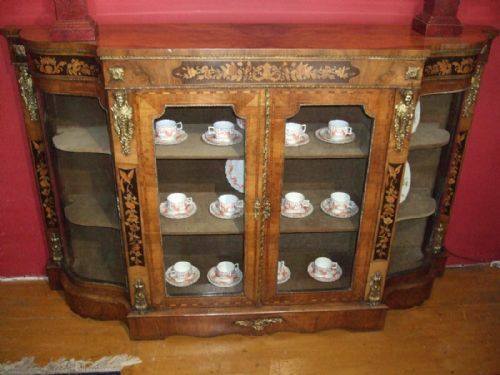 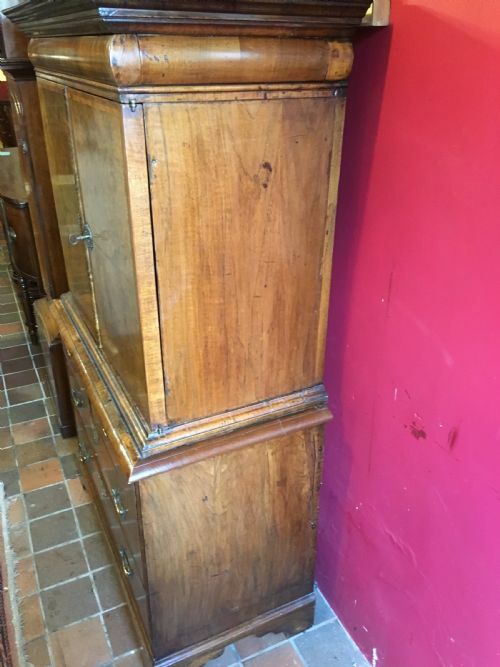 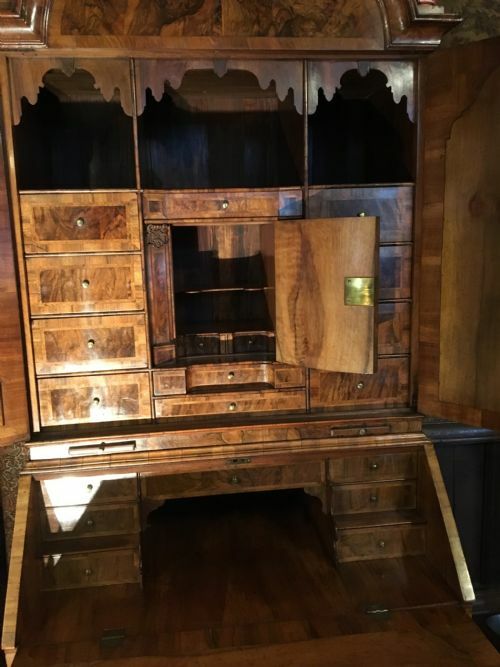 19thC Chinese Elm Side Cabinet. 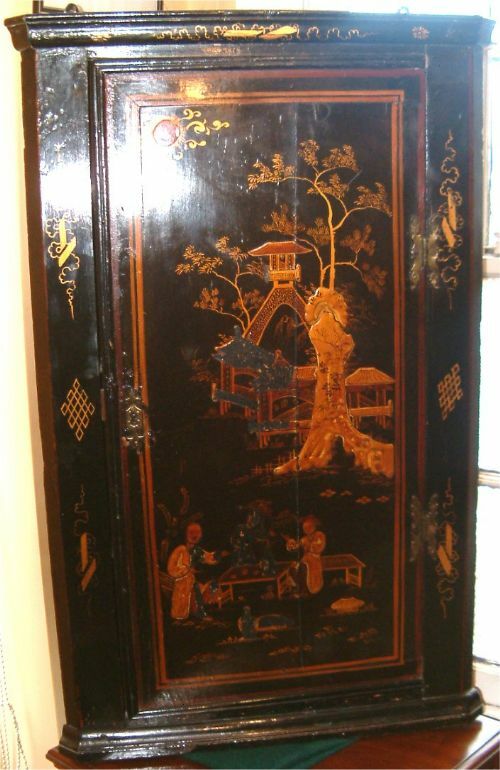 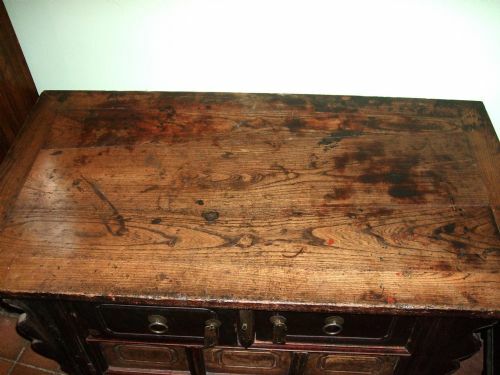 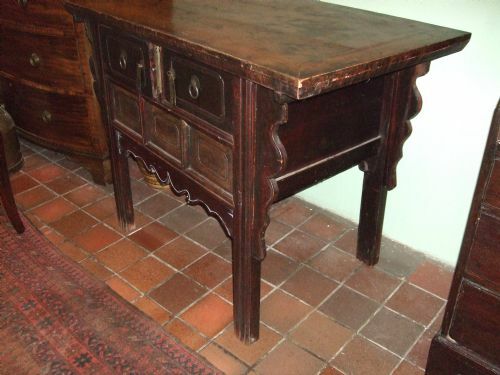 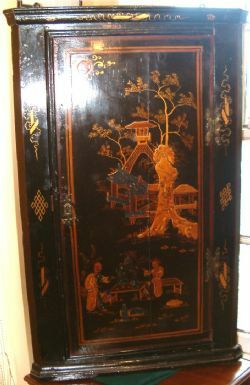 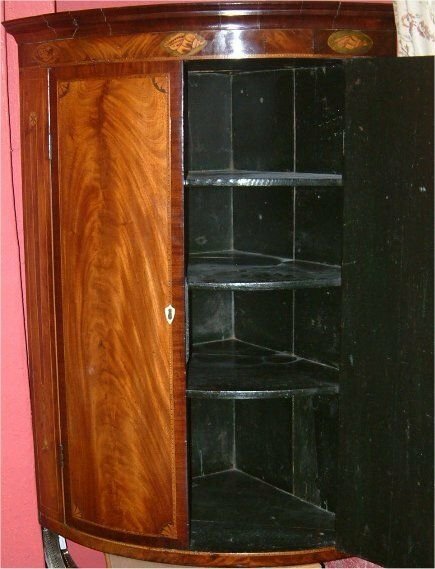 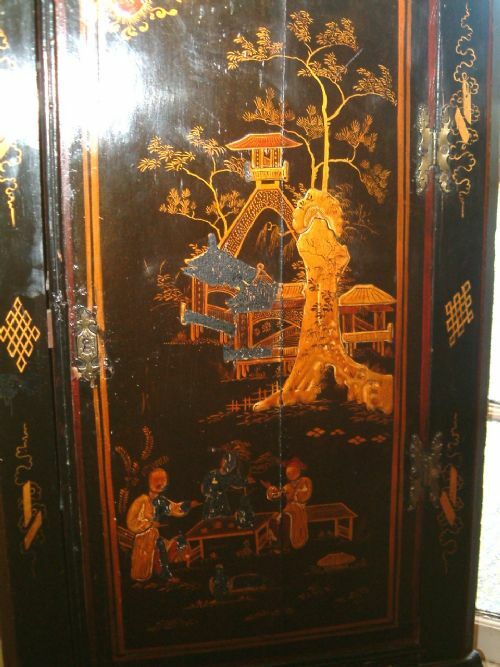 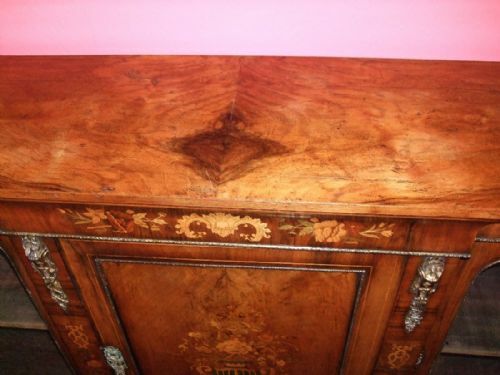 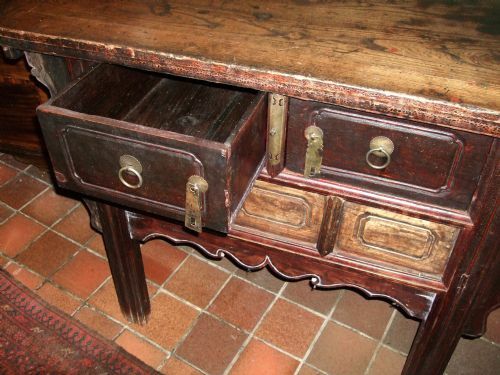 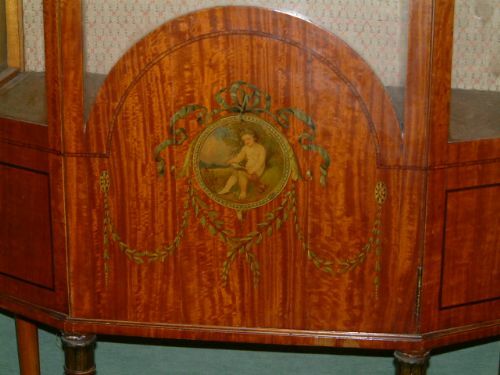 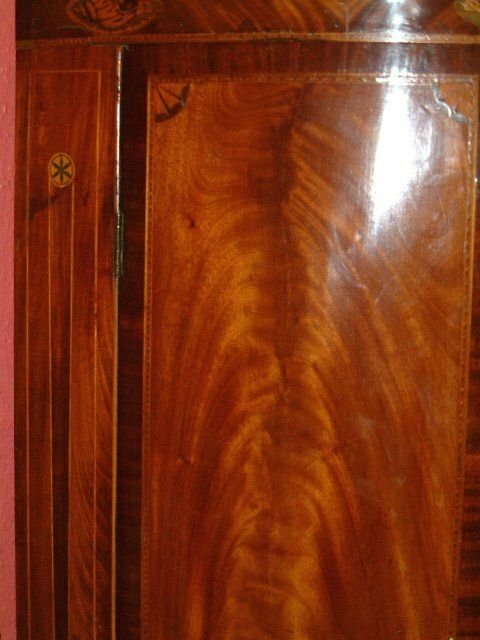 Excellent Colour & Patination Doors Possibly Later, The Top Inlaid above a Cushion Drawer. 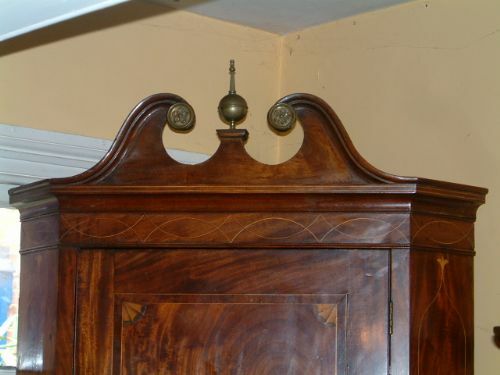 Unusual Bell Sounding when unlocked. 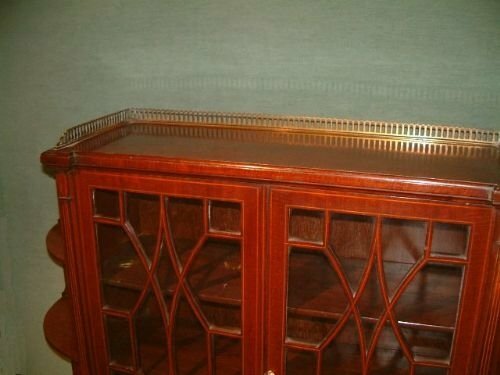 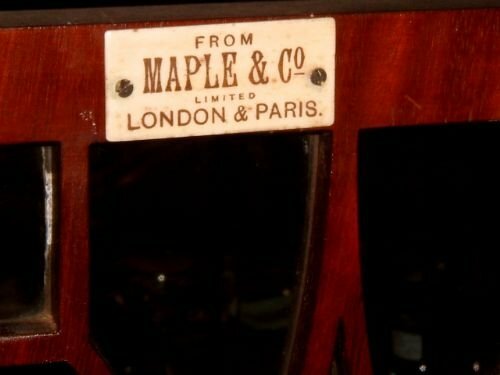 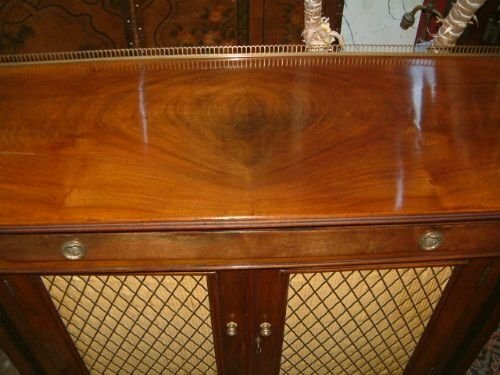 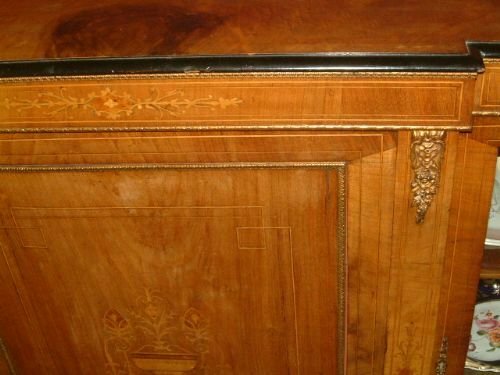 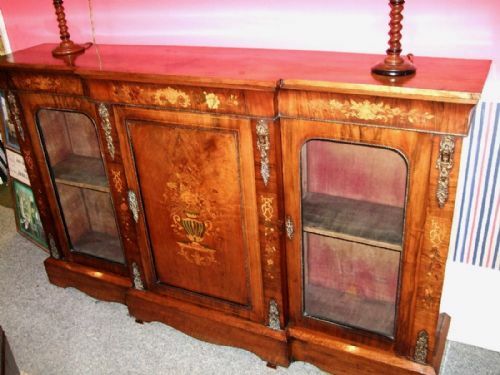 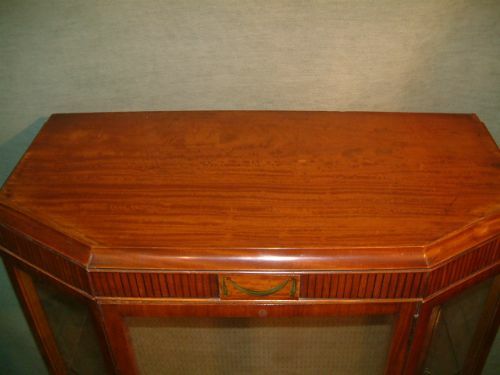 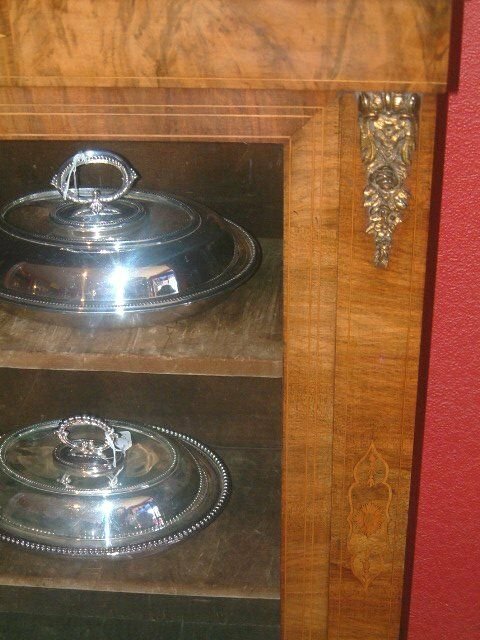 Victorian Walnut Credenza with Inlaid Decoration & Gilt Metal Mounts. 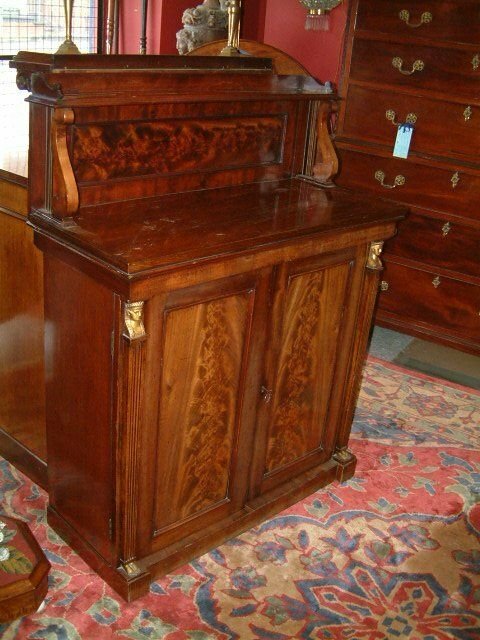 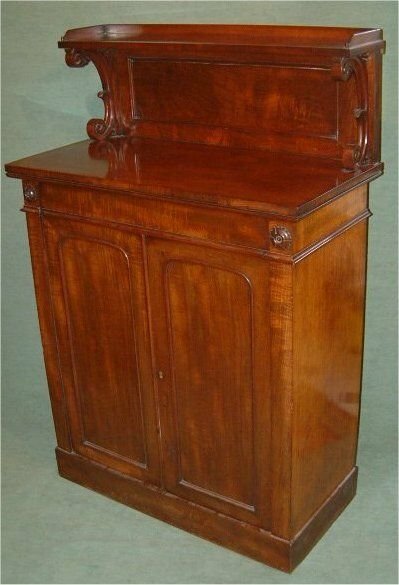 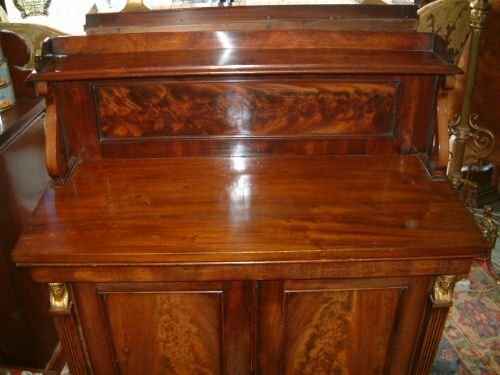 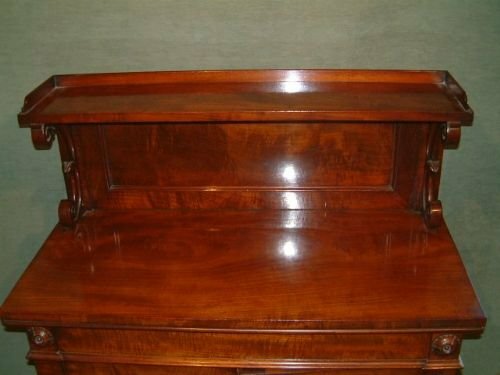 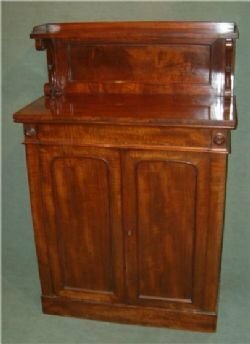 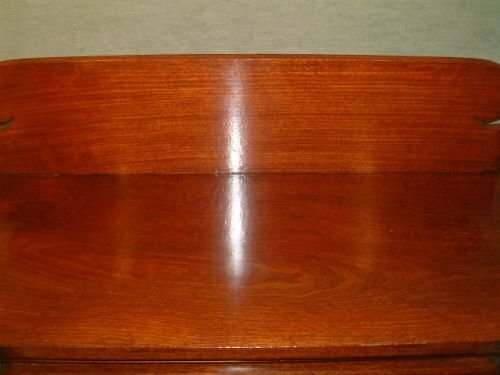 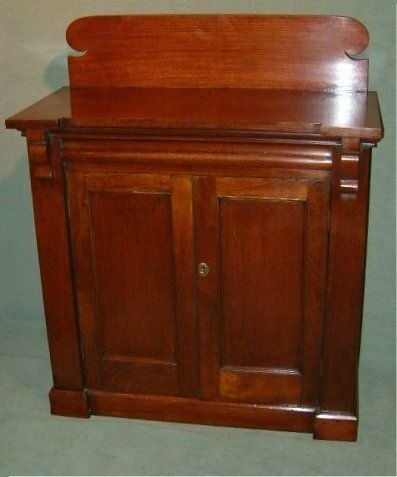 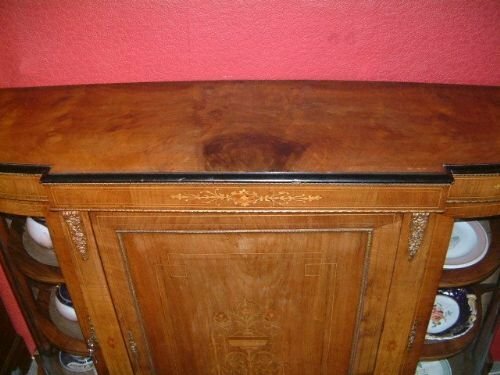 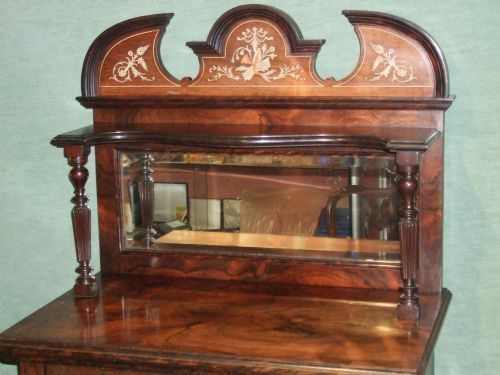 Small Regency Period Mahogany Chiffonier Wonderful Colour to the Mahogany with well Carved Decoration. 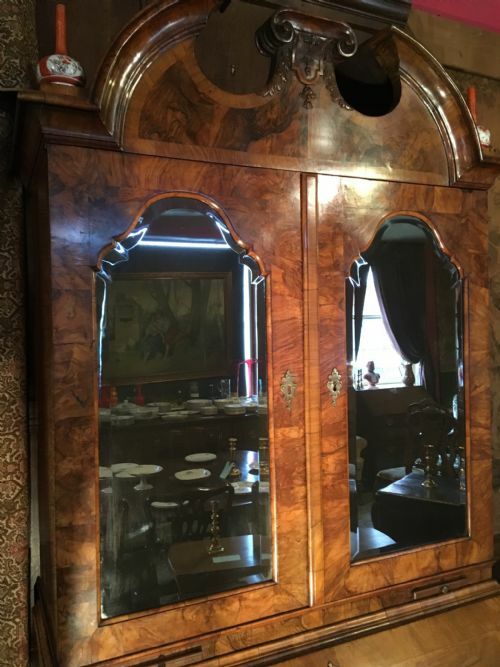 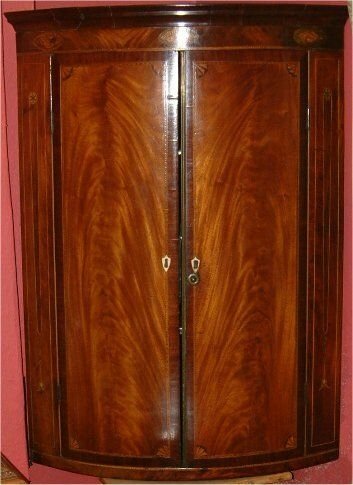 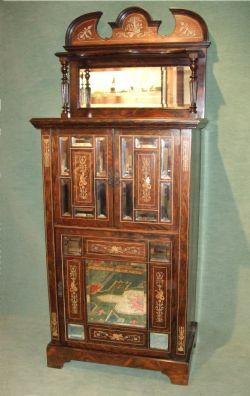 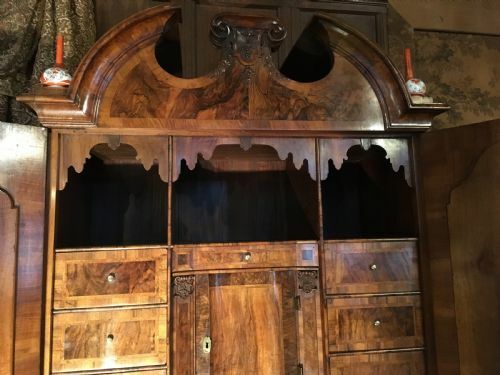 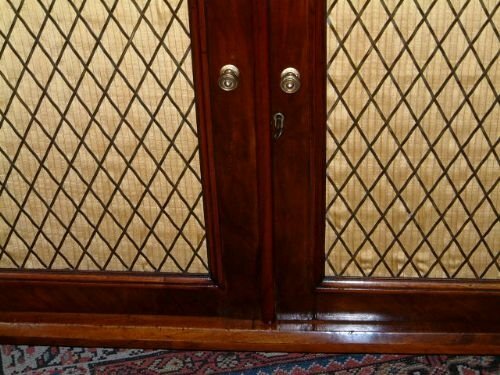 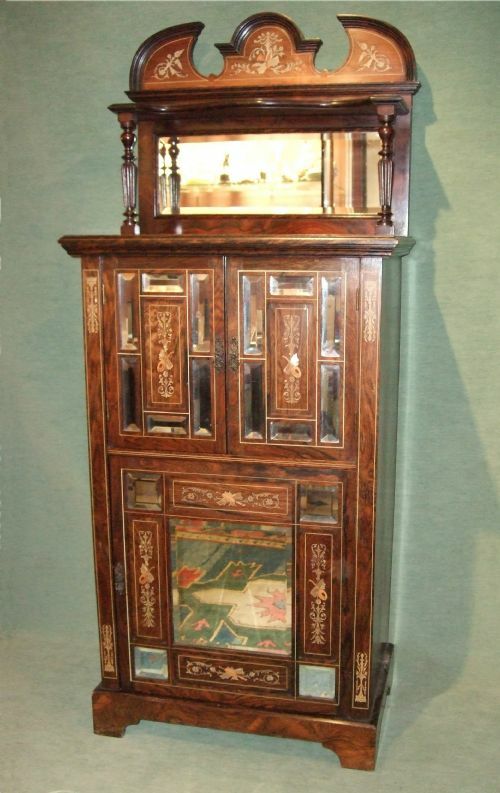 Victorian Walnut Inlaid Pier Cabinet with Gilt Metal Mounts. 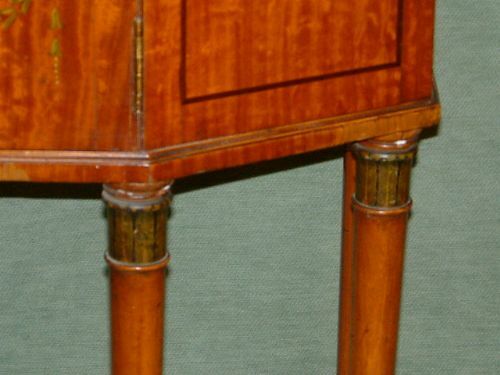 Excellent Proportions. 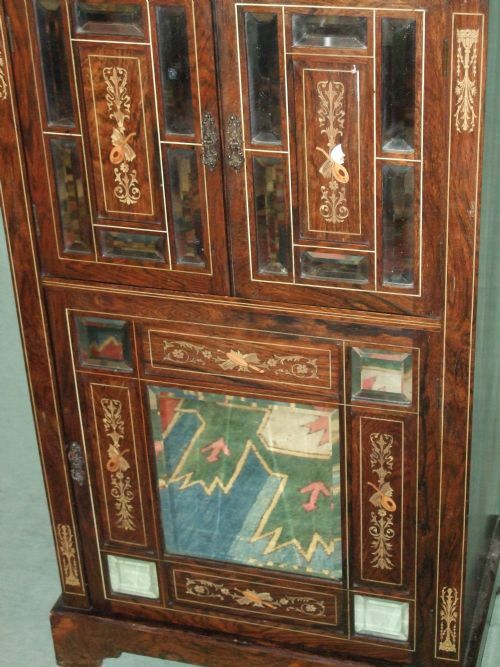 Fabulous Inlay & Bevelled Mirrors. 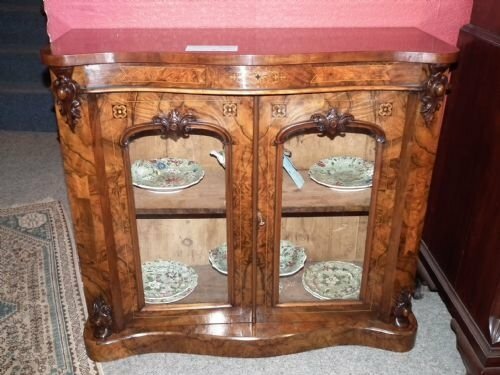 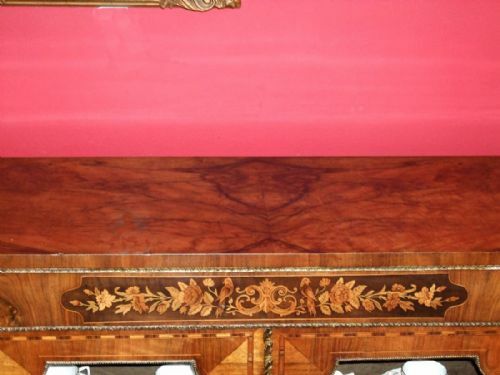 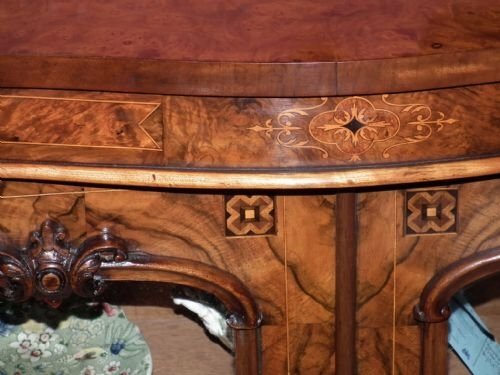 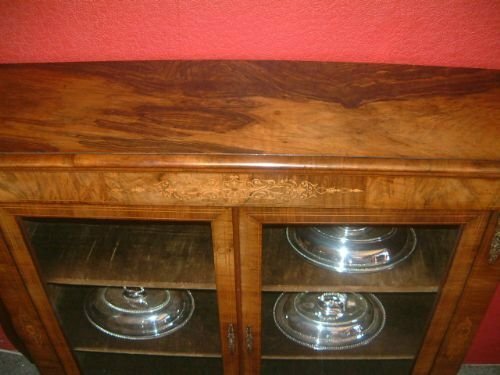 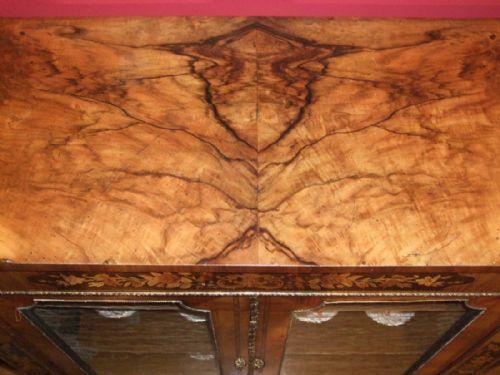 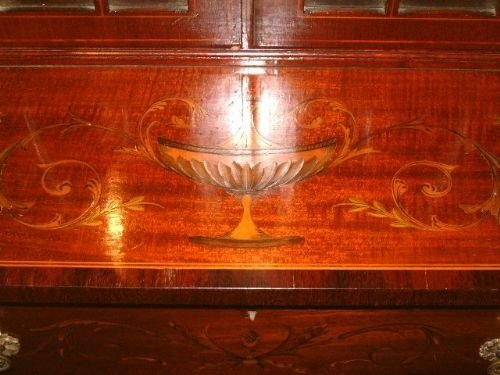 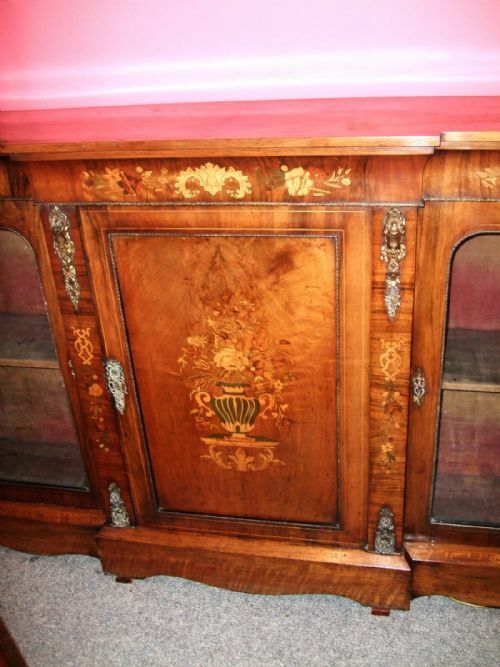 Victorian Inlaid Walnut Credenza with Ormolu Mounts Beautifully Inlaid Excellent Condition. 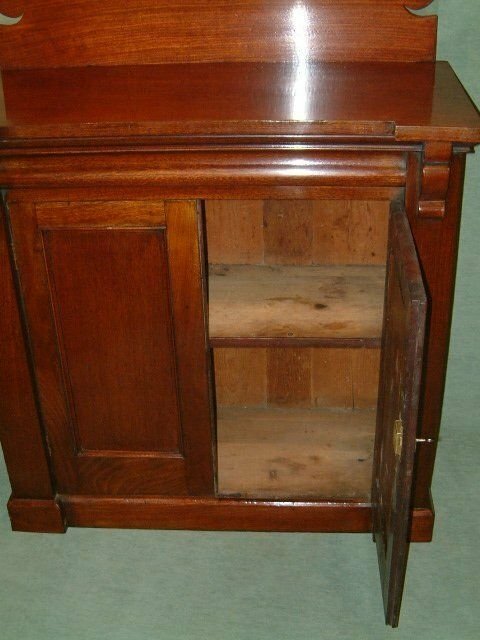 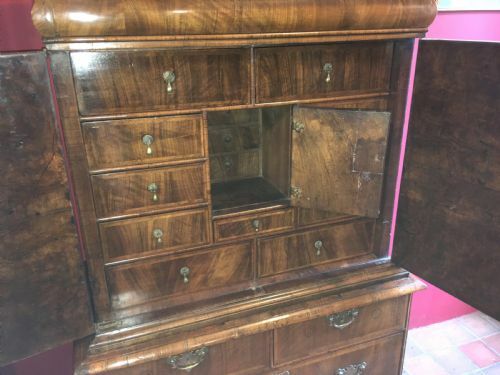 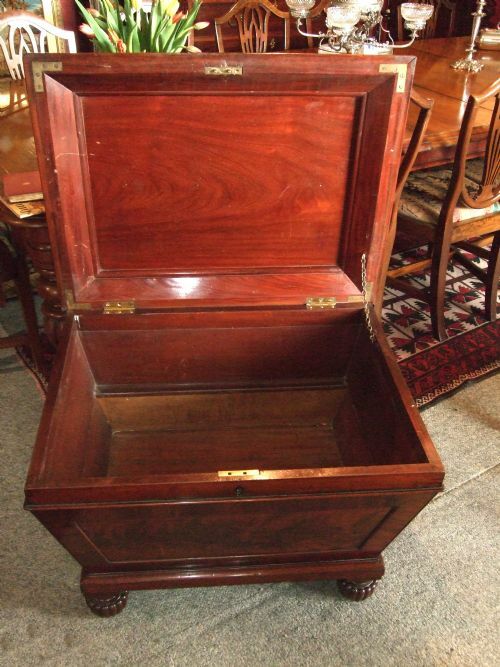 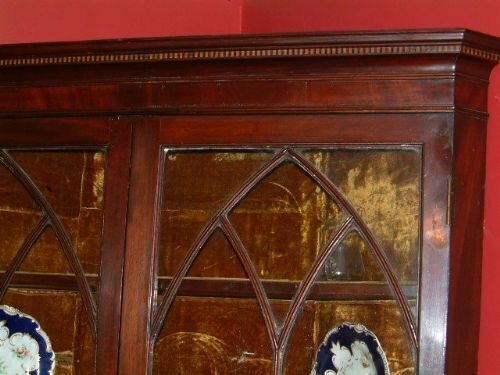 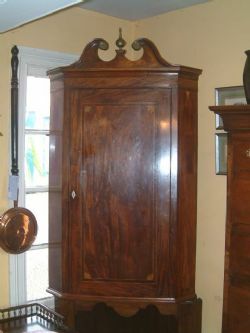 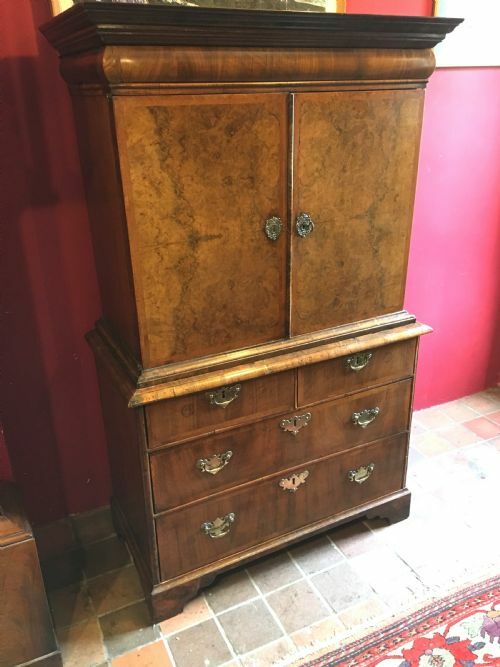 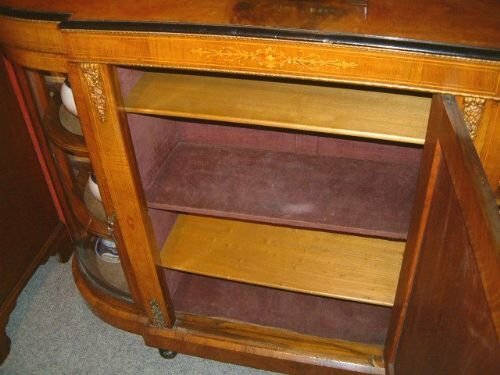 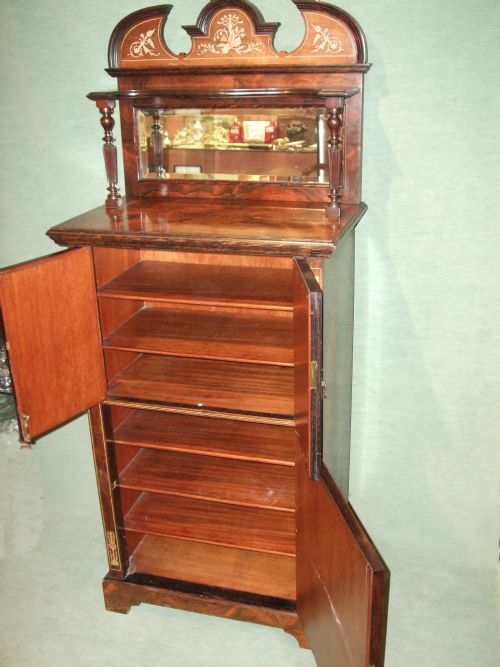 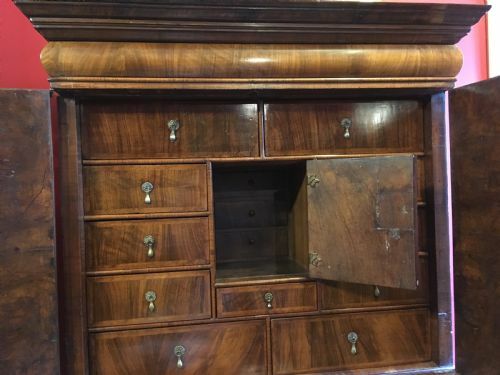 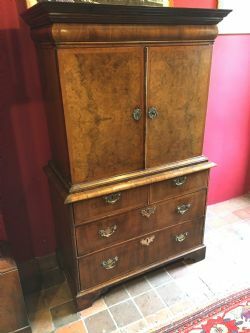 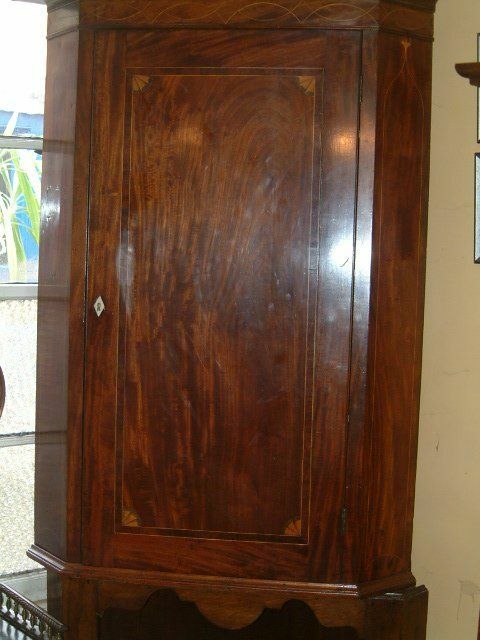 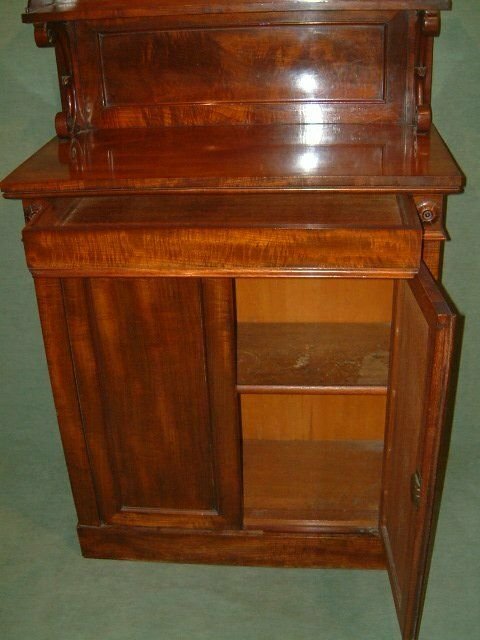 Regency Period Mahogany Side Cabinet Excellent Weight to the Mahogany Good Rich Colour. 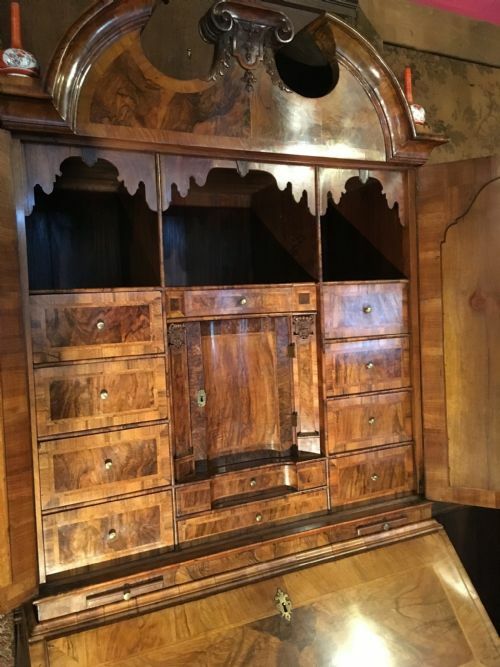 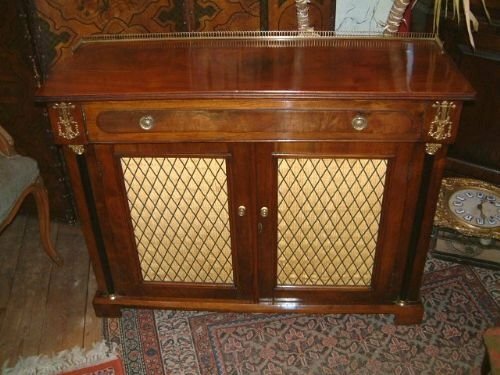 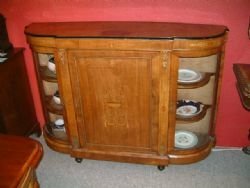 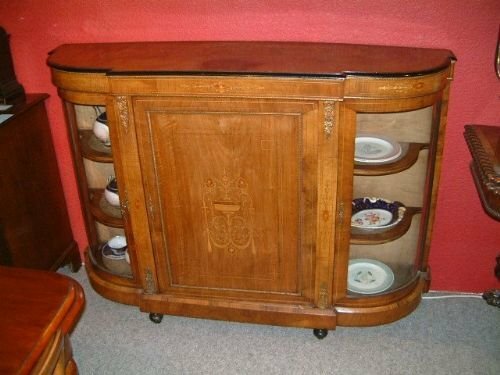 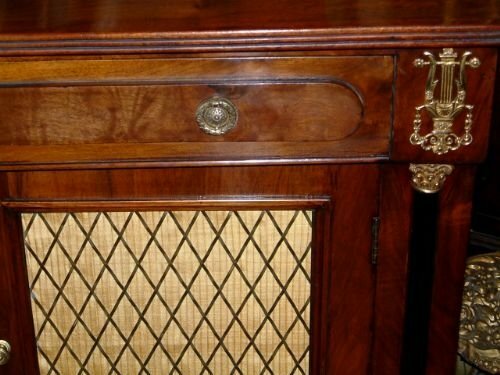 Victorian Walnut & Inlaid Credenza/Pier Cabinet of Superb Small Proportions, with Carved Decoration Boxwood Geometric Lines & Other Decorative Inlaid Features. 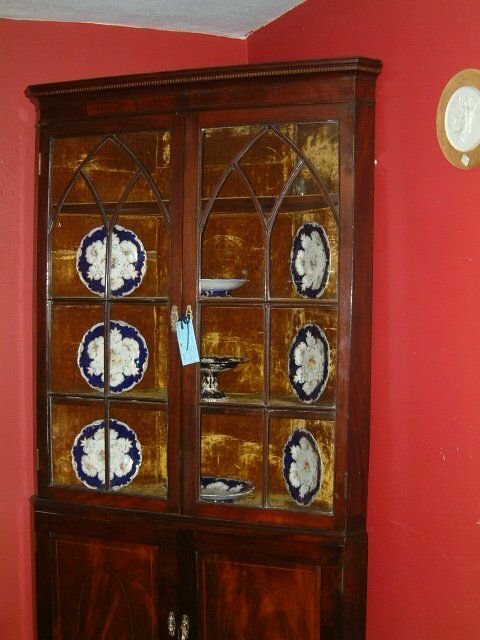 Superb Inlaid Edwardian Satinwood Display Cabinet with Painted Decoration of Cherub Reading. 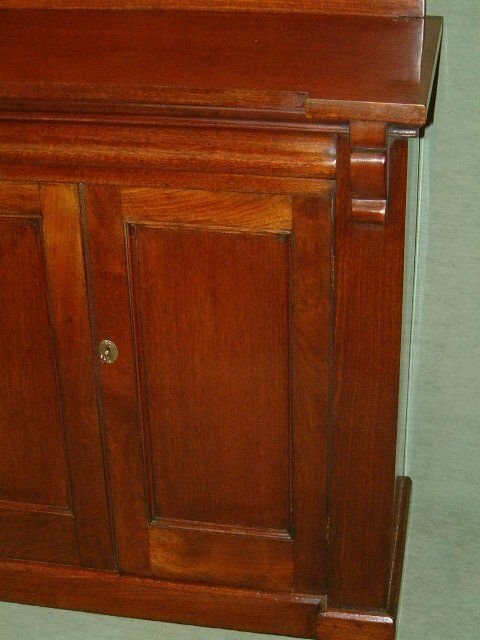 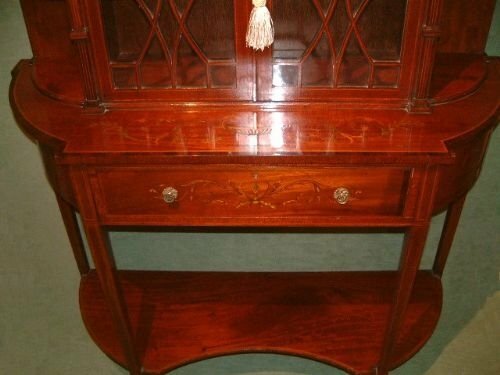 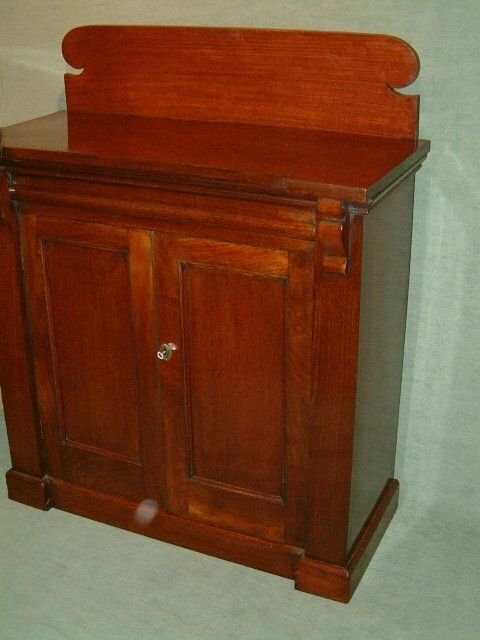 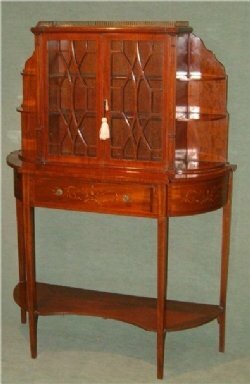 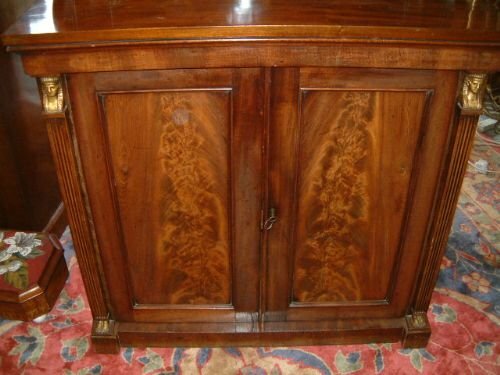 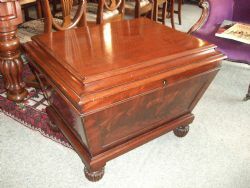 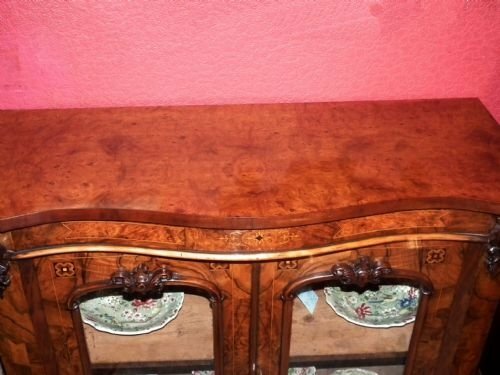 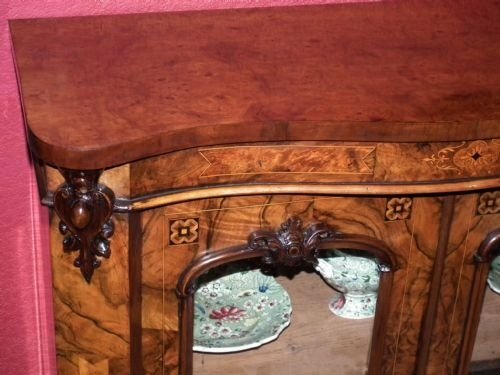 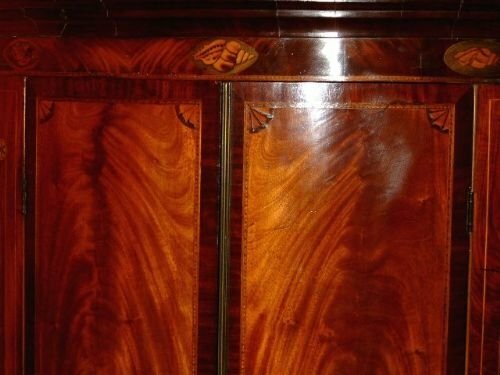 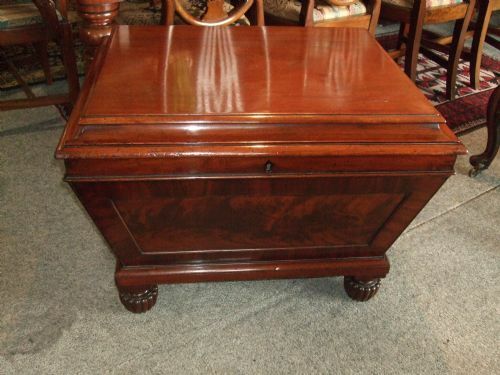 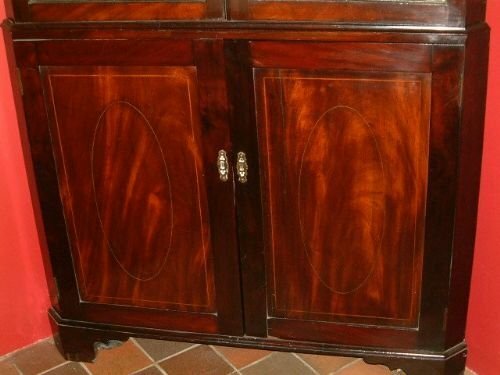 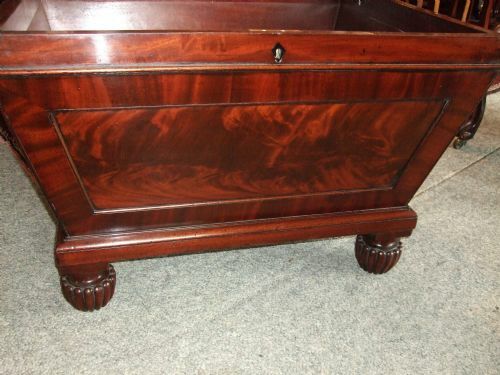 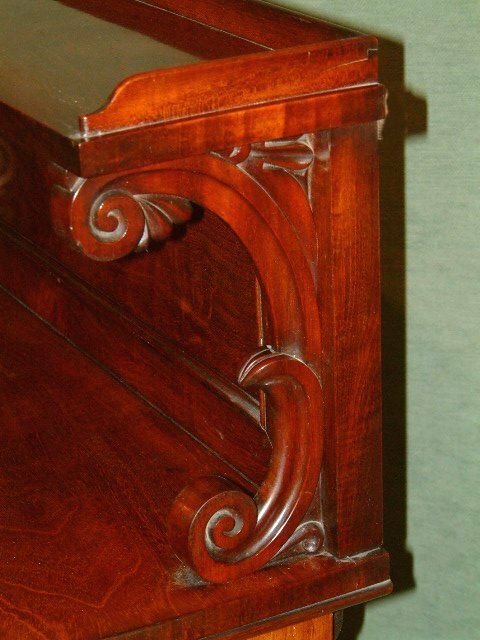 George 3rd Inlaid Mahogany Corner Cabinet Lovely Shell & LIne Inlay, Good Rich Colour Flame Mahogany. Regency Mahogany Side Cabinet Chiffonier with Egyptian Decoration, Excellent Flame Mahogany Veneers to the Doors with Parcel Gilt Egyptian Carvings to the Edges.